Are you fed up of dealing with the same appliance problems? Are you looking for experts in household appliances service in Passaic, New Jersey? You can rely for urgent needs on us and depend on our appliance maintenance expertise. We provide any service required – whether it is a new dryer installation, dishwasher maintenance, or same day fridge repair. Our quotes are affordable and each service truck is fully equipped. Passaic Appliance Repair has a strong team of technicians, who are both experienced and updated. This is the reason why we are able to help our clients in Passaic effectively and provide any requested service. Want rapid assistance with either the refrigerator or freezer? Looking for washer & dryer experts? Need same day oven, stove, or microwave repair? Seek specialists in either electric or gas range repair and installation? Want to routinely service the dishwasher? 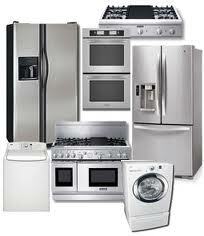 Depend on our company’s appliance technicians to do any job properly. From installing a brand new appliance to fixing the problems of existing laundry room or kitchen appliances and periodically maintaining them, we can do anything for you. Our team is highly experienced and professional which is why we offer a variety of home appliance services. We service any home unit, respond quickly, and can handle any problem. Burned parts? Broken door seal? Our pros bring excellent spares with them to replace any faulty component. We do any Passaic appliances service diligently and quickly and these are good reasons for calling us when you need help.